Nonprofit Alert: Follow the Government’s Regs! Stakeholders of every nonprofit want their board members and managers to be passionate about the organization’s mission. However, in the current century, directors and managers must navigate a regulatory environment that can lead to substantial personal liabilities and possibly impair their own reputations and that of the organization. For example, I recently read about a director of a nonprofit who was fined $10,000 by the IRS for failure to vote “no” on a proposed $2 million building contract between the organization and his building firm. The logic behind the fine appears to be a violation of the Intermediate Sanctions Act, Section 4958 of the IRS Code. Never heard of it? Don’t despair. 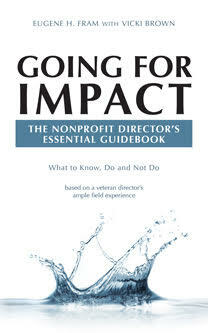 You are in the company of many veteran nonprofit directors, attorneys and accountants whom I have encountered. Let me explain, as a layperson, the purposes of the act plus several others that might lead to personal liabilities for nonprofit directors and managers. I speculate that the IRS, in the case cited above concluded the director received an excess benefit. (The director had a vote in deciding to accept the contract and approve it. This vote meant he apparently derived an excess benefit as board member.) These types of benefits can involve actions like a manager being paid in excess of the market value of his/services; a parcel of land being sold to a volunteer or a donor at below market value; a parcel of land being purchased by the organization above market value to please a nonprofit donor or any numbers of other types of excess benefits that can be detrimental to the nonprofit. Both those giving and receiving the benefit can be liable. Prior to passage of this act (2002), the only action that the IRS could take in these types of situations would have been revocation of the nonprofit’s tax-exempt status. The organization’s clients would be seriously affected, not those proving or receiving the benefit. Nonprofit directors and managers need to be alert to the provisions of the Intermediate Sanctions Act and should review their processes and major decisions with legal counsel to make sure they are within “safe harbor” provisions of the act. The IRS requires this report to be filed annually by all charitable, 501(C)(3), nonprofits. Nonprofit boards need to be aware of two aspects of this filing. First, directors need to be involved with the development of the report and need to approve its filing. Second the expanded (2009) form includes 28 questions related to the size and independence of nonprofit boards (i.e., issues related to governance, policies and disclosures). The expanded report is designed to increase “transparency” for nonprofits. Consequently, it is assumed that board members will be expected to have a broader view of their own organizations. As with Intermediate Sanctions, it will be necessary to keep very accurate meeting minutes of director votes to allow those who might disagree with the majority to vote “no” on submission and be absolved from any liabilities that might be incurred. Some nonprofits have adopted a key provision of Sarbanes-Oxley – requiring that the CEO and CFO, at a minimum, certify that the annual financial statements are correct. In addition, some states require nonprofits to have a “whistle-blower” reporting system in place. Larger nonprofits have voluntarily decided to follow all the provisions of Sarbanes-Oxley. Medium and smaller nonprofits find this too costly. Violations in these areas can be costly to board members, managers and possibly cause the organization to lose its preferred tax status. Passionate board members and managers are critical to achieving a nonprofit’s mission. These groups must be aware of the potential personal liabilities that can be assessed them, if passions blind them to violating governmental regs. To ensure that both groups are current on these issues, the board should plan updating sessions with legal counsel every year or two. ← Director Independence: a Nonprofit Board Issue?